The myriad of cultures in the world, with their own traditions and beliefs, are not failed attempts at modernity, let alone failed attempts to be us. Each is an inspired expression of our collective genius, each a unique answer to a fundamental question: What does it mean to be human and alive? Every culture has something to say, each deserves to be heard, just as none has a monopoly on the route to the divine. And yet of the world’s 7000 languages, fully half are not being taught to infants. Every fortnight an elder passes away and carries into the grave the last syllables of an ancient tongue. At risk is a vast archive of knowledge and expertise, a catalogue of the imagination that is the human legacy. Rediscovering a new appreciation for the the diversity of the human spirit, as expressed in culture, is among the central challenges of our time. This seminar is not available on video. 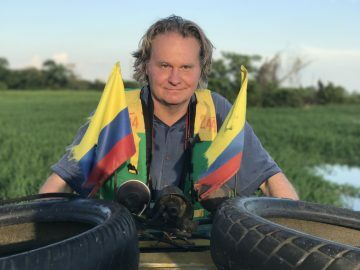 Wade Davis is a writer, photographer, and filmmaker whose work has taken him from the Amazon to Tibet, Africa to Australia, Polynesia to the Arctic. 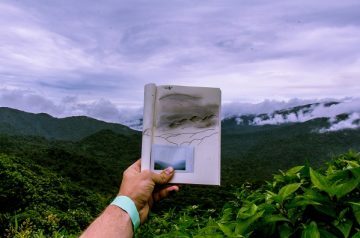 Explorer-in-Residence at the National Geographic Society from 1999 to 2013, he is currently Professor of Anthropology and the BC Leadership Chair in Cultures and Ecosystems at Risk at the University of British Columbia. Author of 20 books, including One River, The Wayfinders and Into the Silence, winner of the 2012 Samuel Johnson prize, he holds degrees in anthropology and biology and received his Ph.D. in ethnobotany, all from Harvard University. His many film credits include Light at the Edge of the World, an eight-hour documentary series written and produced for the National Geographic Channel. Davis is the recipient of 11 honorary degrees, as well as the 2009 Gold Medal from the Royal Canadian Geographical Society, the 2011 Explorers Medal, the highest award of the Explorers’ Club, the 2012 David Fairchild Medal for botanical exploration, the 2015 Centennial Medal of Harvard University, the 2017 Roy Chapman Andrews Society’s Distinguished Explorer Award and the 2017 Sir Christopher Ondaatje Medal for Exploration. In 2016, he was made a Member of the Order of Canada.